Chris and Yancy discuss their favourite movie sequels of all time from both a Generation X and Millennial perspective. Chris quizzes Yancy on movie sequel titles. Theme song – “Fantasy Life” by H-Beam provided by Music Alley. “Top of the Pops” theme – “Warm Up” by Alain Galarneau provided by Music Alley. 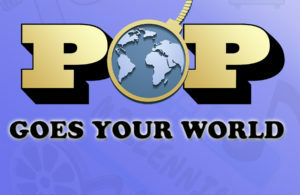 Chris is the host of "Pop Goes Your World". He LOVES pop culture from Generation X. When he isn't spewing trivial information about TV, movies and music, he spends his time as a college professor.